Discussion by the Office of Facility Planning regarding the status/posture of HB2, 2017 RS. 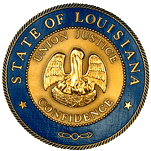 Review and approve third party convenience fee schedule submitted by the Louisiana State Board of Cosmetology pursuant to R.S. 49:316.1(A)(2)(c).